Once in a while you get one of those perfect products that you never EVER want to be without most refer to these as their 'Holy Grail' items, well this month I think I may have found a few worthy of that tag so I thought i'd introduce some of them to you. 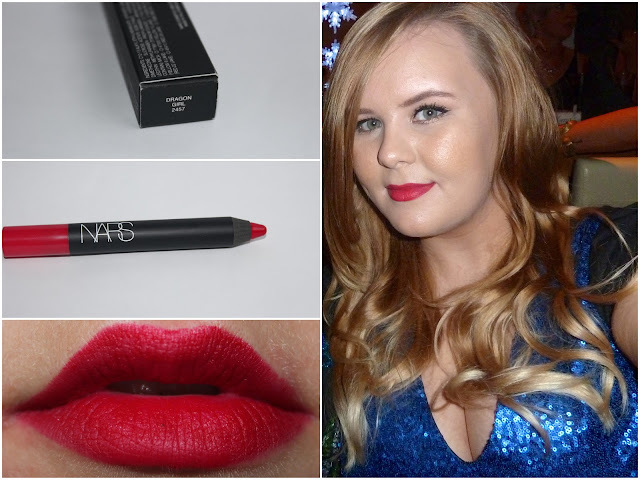 I have never walked out my house with a red lip apart from one birthday night out & when I look back on the pictures it looked awful so I risked it when I purchased this online. I think i've worn it about 4 times in the last few weeks, the texture is perfect as it is beautifully matte but doesn't dry out your lips at all and the colour is just amazing THE perfect red, not too orange toned not too blue toned so I think most skin tones & shades could pull this off. Plus this stuff doesn't budge, once it is set it lasts through food & drink and so you don't have to constantly reapply it or worry that it is smudging all over your face. Which means (cue Angels singing) HOLY GRAIL! I love these pencils. Cruella is my all time favourite!